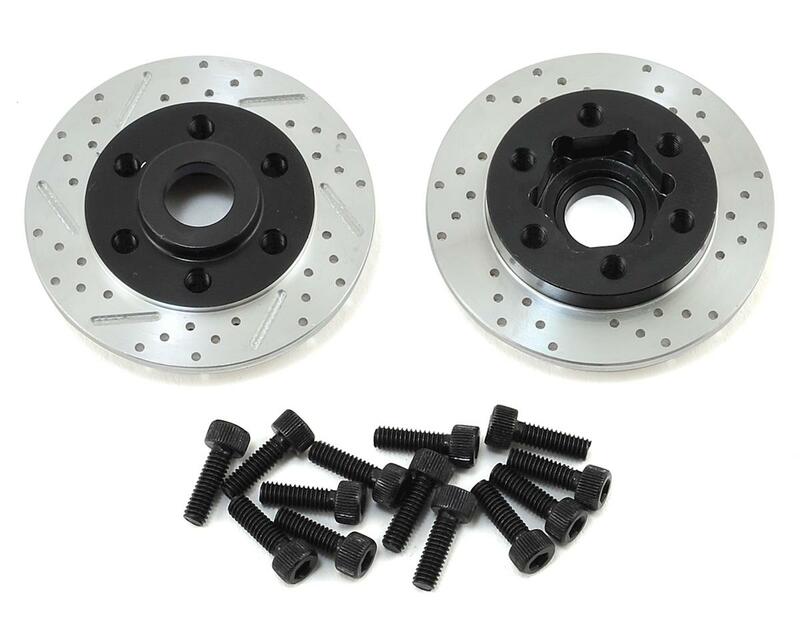 SSD Wheel Hubs feature a machined in brake rotor that gives your rig a greater scale appearance. 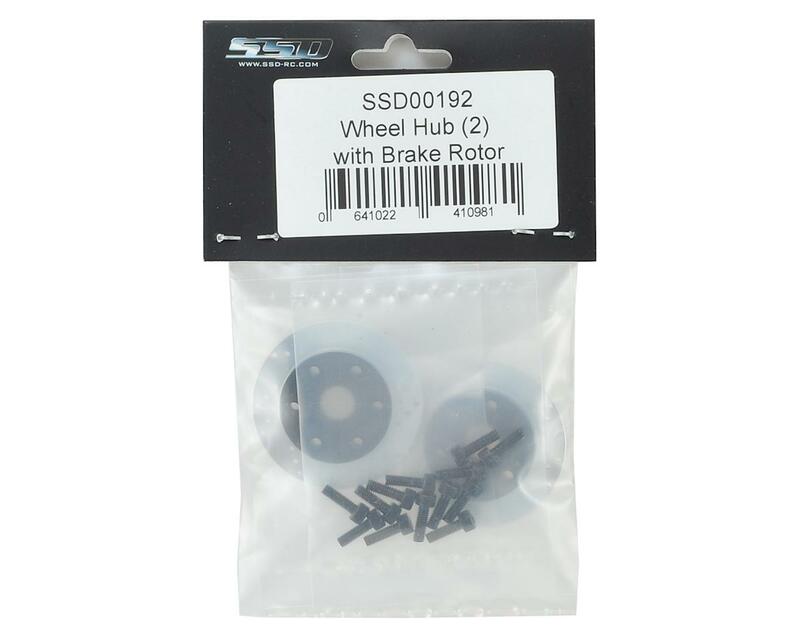 Lightweight with a SLW hub bolt pattern, these hubs will not increase track width, fit all SSD 1.9 and 2.2 wheels, and will fit wheels from VP, Axial, Proline, Locked Up, Gearhead and others that have a 35mm interior clearance. Really nice hub/rotor that fits on the Assassin 1.9" wheels. These are very nice wheel hubs. Fit perfectly on my ebay bead lock wheels and look great. Also reduced the track width a little bit.